When we toured this house as prospective buyers, we knew the kitchen would have to be renovated to suit our needs. Unfortunately, we also recognized that all of the bathrooms would need upgrades in the near future as well. 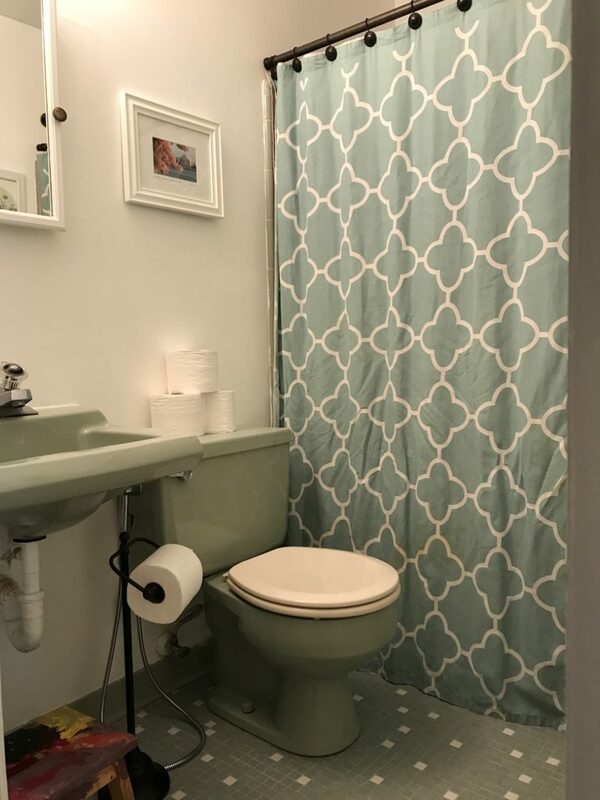 What we refer to as the kids bathroom boasts 1970s green tile, sink, tub, and toilet. Welcome in! Less than 5 feet wide and about 6 1/2 feet deep, this is actually our largest bathroom. As much as we thought we would hate it, its ugliness has grown on me. When you pull back the shower curtain, you really see the kid evidence. 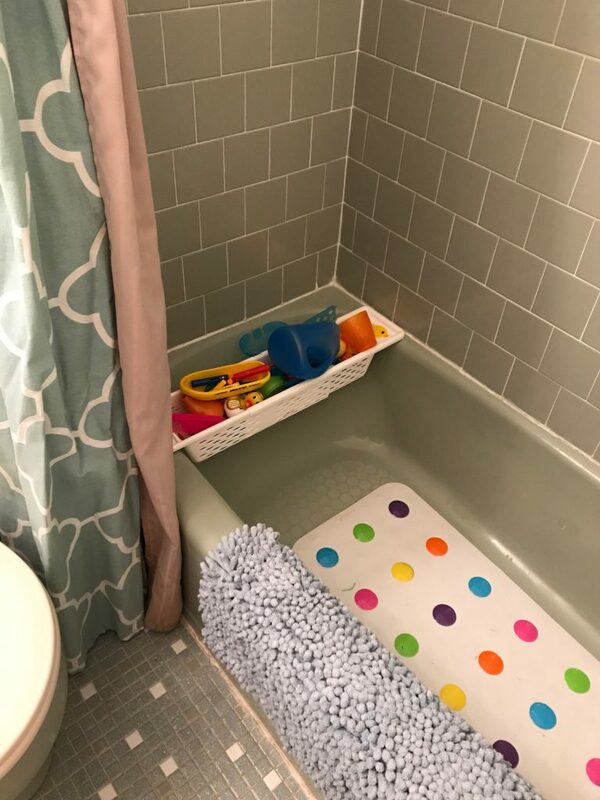 This basket has been the best for corralling bath toys. By the way! Toys with holes for squirting water out are the WORST. They get moldy so fast. Our current favorite bath toys are stacking cups and bath crayons (which are messy but at least not moldy!). We also have a pack of the foamy toys that stick to the sides of the tub. 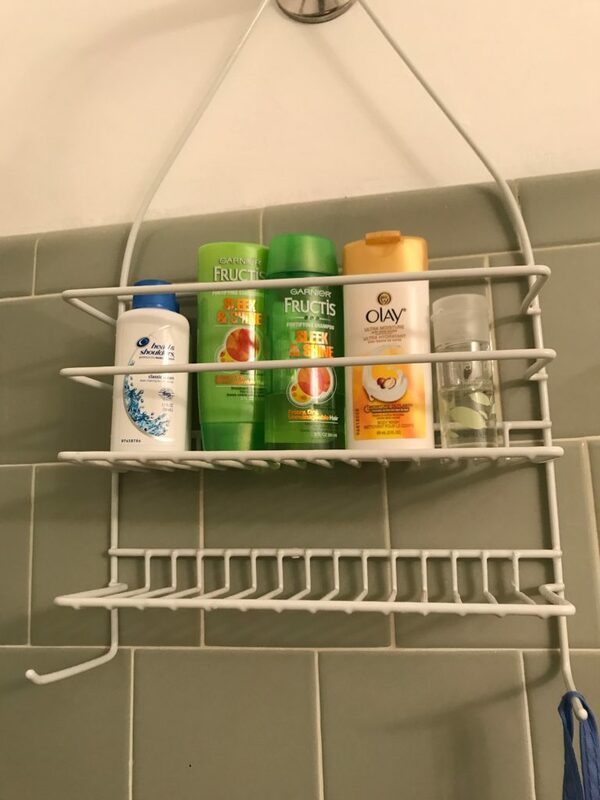 I try to keep a few small items in the shower for guests, since this is also the tub they use. 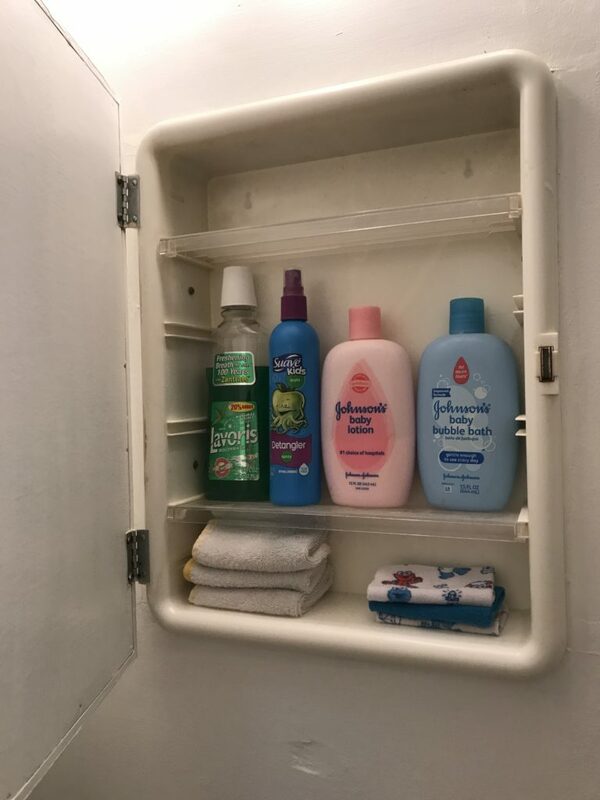 This bathroom has very little storage, but we do have a small medicine cabinet. We store Bradley’s wash cloths and his “beauty supplies” here. And also some random mouthwash that my mom left? 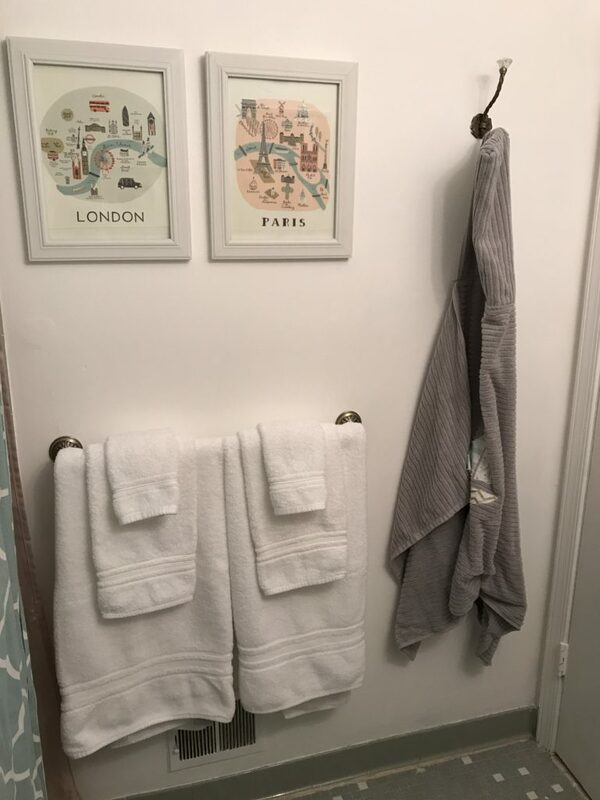 On the opposite wall, we have towel storage. 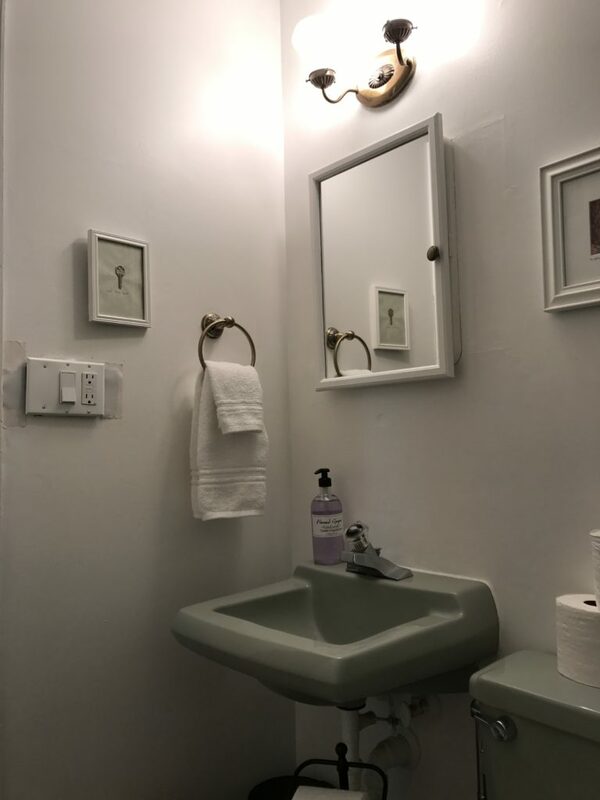 I learned from the staging consult we had at our last house that layering towels in a bathroom helps it to feel more luxurious. 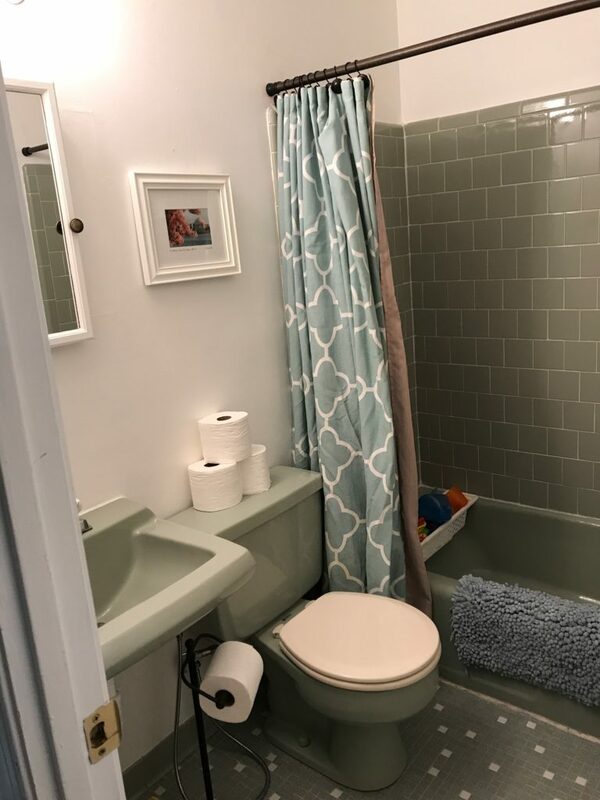 Even though every single part of this bathroom is outdated, the fluffy towels help make it feel more inviting. Or at least that’s what I keep telling myself! My sister-in-law Mary Grace helped me make the kid towel. 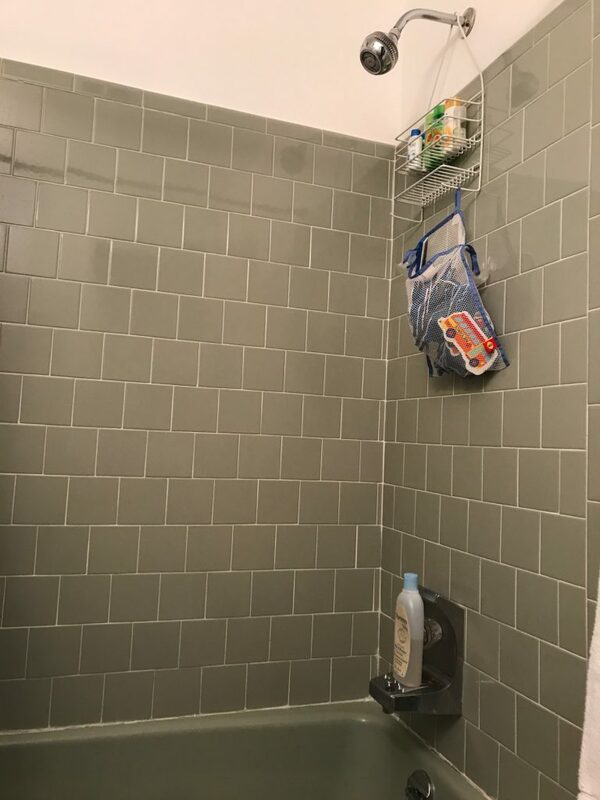 Towels like that make for a great shower present! 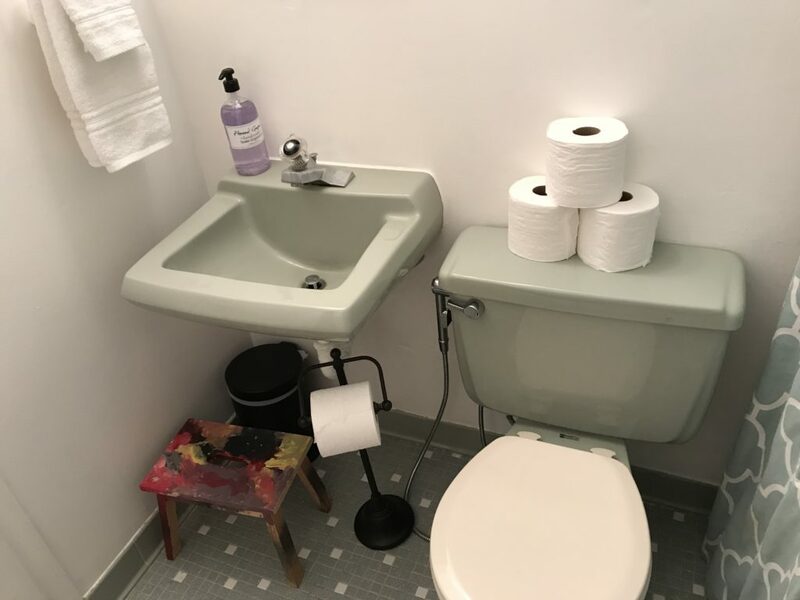 The whole point of sharing this bathroom (along with the post last week on the half bath) is just to discuss the organization. Obviously this room is not aesthetically where we hope it will be one day, but we’ve at least figured out how to make it function for our lifestyle now. What about you? 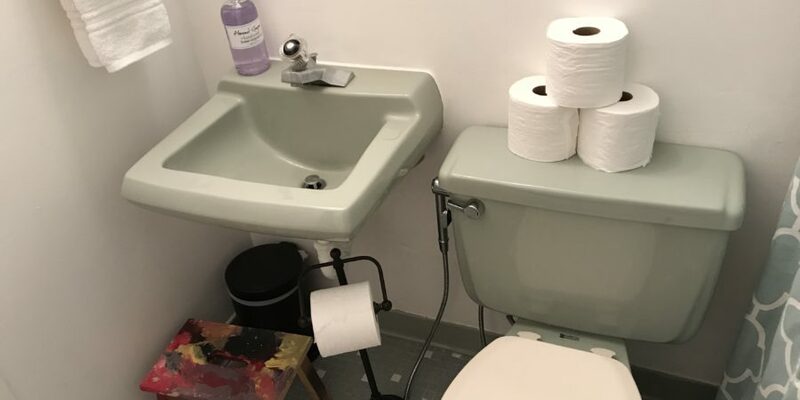 Anyone else trying to make due with a hideous bathroom situation? Who are my fellow fluffy towel lovers? And – most importantly – what bath toys and products are your kids digging?